Bill Devin, in my mind, was the master of the kit car. His cars looked great and were available for a number of different chassis. This one sits on a VW chassis. Most original body VW kits were meant to look futuristic. Most wound up looking just plain weird. Devin's VW kits looked like all his other kits, meaning that they looked like great sports cars. Yes, parts of the design were derivative of other sports cars of the time, but this is one of those cars that if you saw it on the street today, you would think "I don't know what this is, but it sure is beautiful". 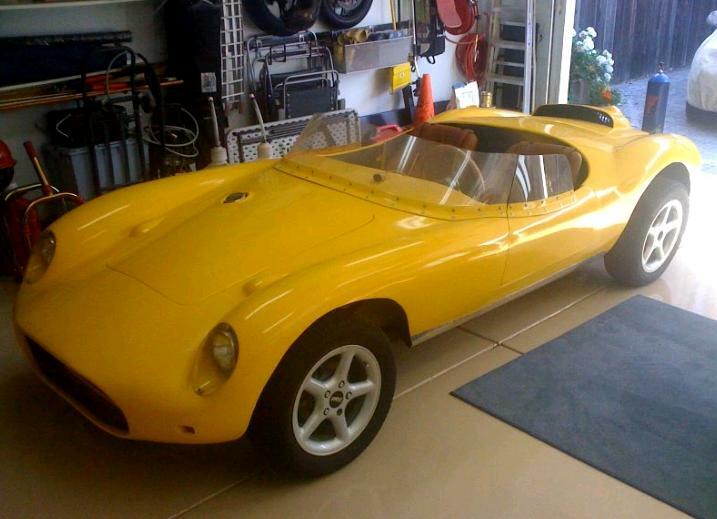 The seller says that this car was a "running street licensed sports car and has competition history running time trials, autocross and hill climbs going back to the ‘60’s in Central California". He doesn't mention when it was taken off the road, but it has undergone restoration. This car also has been updated to front disc brakes and has an 8 gallon fuel cell. The body on the car has been customized. 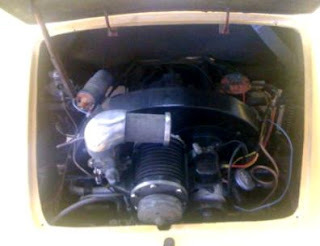 The most notable piece is the air scoop on the engine cover which is needed for the supercharger. The new American Eagle wheels look really good on this car. The car also has a custom wood steering wheel and seats that appear to be from a newer car. The seller says he has "numerous boxes with original documents, invoices, and original technical documents and manuals". He also has the original California black plates, which mean little outside of CA, but cool to have if you're registering it in California. 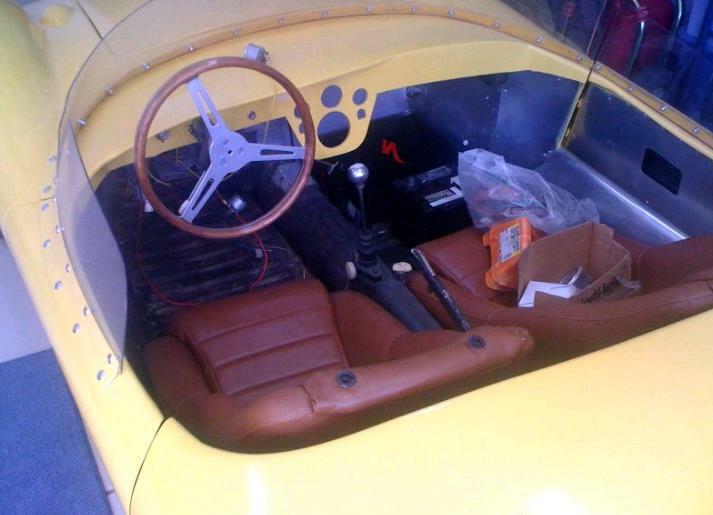 The seller says the car is "75% restored" and that appears to be about right. The stuff that's left to do; wiring, fuel lines, and some interior work, are all things that could be done in a home garage over the course of a few full weekends. The opening bid for this car is $8000.00. I am by no means an expert on kit car values, but $8K does not seem like a lot for a car that is this complete, this nice looking and this unique. Located in Martinez, CA, click here to see the eBay listing. You can find a website dedicated to Bill Devin and his cars here.